In a bid to provide high end 3G Value Added Services and rich multimedia contents on a singal click, Reliance Communications (RCOM), today announced the launch of new mobile data portal, R World, powered by Motricity. The new portal developed for the upcoming 3G services will deliver complete, end-to-end mobile Internet and data services to 120 million Reliance mobile subscribers at the click of a button. The ubiquitous Mobile Data Services Portal has been developed on Motricity’s mCore platform which powers 3G Mobile Portals of many leading global 3G service providers. Motricity’s mCore Platform and Mobile as a Service (MaaS) delivery platform will enable Reliance Mobile Customers to access highly personalized mobile data experiences throughout the country. 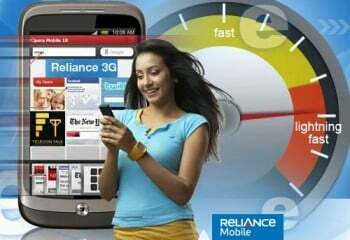 From R World, Reliance Mobile subscribers will have access to the high speed mobile Internet with download speeds up to 21 Mbps, high-definition Mobile TV and a host of advanced features, across a wide range of mobile devices, enabling mobile content discovery, mobile commerce, mobile social networking and mobile marketing campaigns and programs. Motricity is a leading mobile data services and solutions provider serving some of the world’s largest mobile operators including AT&T, Sprint, Verizon Wireless, Celcom and XL Axiata. Content Aggregation: Subscribers now have access to all of the most popular content, email and social networking sites direct from their mobile device through a centralized easy-to-access destination. Single Sign-On: Once users personalize their view of R World, they can access all of their content, email (Gmail, Windows Live, Ovi Mail) and social networks (Facebook, Twitter) with one login, eliminating the need to re-enter different passwords and user IDs. News Feeds: RSS functionality allows subscribers to browse through feeds and add them to their home page, ensuring they get the most relevant news, sports and content. R World offers four categories of RSS feeds; news, sports, infotainment and finance. Social Networking Capabilities: Through R World, subscribers can publish status updates across multiple networks check on the status of their network friends, read and comment on posts, through a single, user-friendly interface. that too without informing the subscribers. Reliance is becoming thief day by day. Reliance is a well known cheater. that too without informing the subscribers…. reliance is becoming thiefs day by day..